Please contact us directly at info@apollo-seiko-europe.com for additional information on this product. This integral unit will increase efficiency of manual solder work. “Handling the iron unit” “Feeding the solder” are two actions that can be done with one hand. The solder wire feed length is controlled with a timer which provides good soldering quality. There are two options of iron units. The pistol type or pencil type. In addition there are more than 20 different types of iron tip available. SSB is a soldering iron and solder wire feed function has been integrated. You can select the pen pistol and type depending on the application type. You can also use thick solder wire in the form of Φ2.0. Since a built-in heater to the tip of a soldering iron, heat can be transmitted efficiently. In addition, we are not proprietary cartridge heaters are built into the tip of the thermocouple tip, the optimum temperature is always controlled by sensing temperature changes slightly. Temperature control is the control PID, which features auto-tuning to automatically setting PID constants was also a drawback, you can easily change the setting. Also, connect the USB cable option, you can also download the temperature data to the PC. ALN-optional N2 generator can be used in combination with the 005. N2 gas to prevent oxidation during soldering surface, providing a clean finish. We offer 20 different standard tip for a hand. You can choose where the object was to solder iron. Since the tip is a cartridge type can be replaced easily and quickly. The desoldering “Wick Gun” is easy to feed and absorb solder. The used wick can be cut with one hand by pulling the build-in trigger. For desoldering wick, we have prepared four different sizes. You can choose to match the size of the work. The used wick can be cut with one hand by pulling the build-in trigger making rework performed efficiently. By drilling holes in the teeth at regular intervals solder wire of proprietary technologies, while maintaining the effect of flux, solder balls to minimize splattering. ZSB-10/16 is a feeder for the hand. 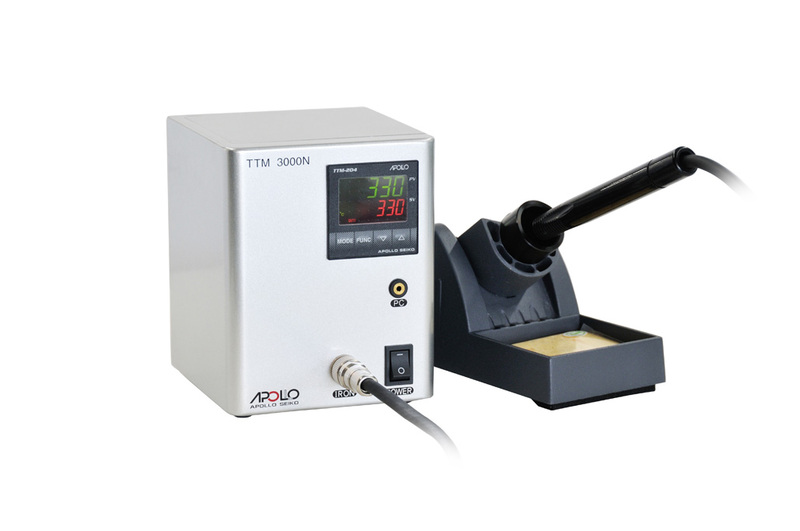 Automatic solder feed so you can switch by foot and increase the efficiency of the manual. Check our ZSB FEEDER highly competitive compared with similar products. By minimizing the solder balls, effective for the reduction of the inspection process.